Save €1,000’s on your maintenance bill with hull cleaning using Tornado 2……Remove the fouling….. and NOT the paint. Invest in a technology that will save you €1,000’s by preserving, and thus extending the effective protection of your anti-fouling by another year! 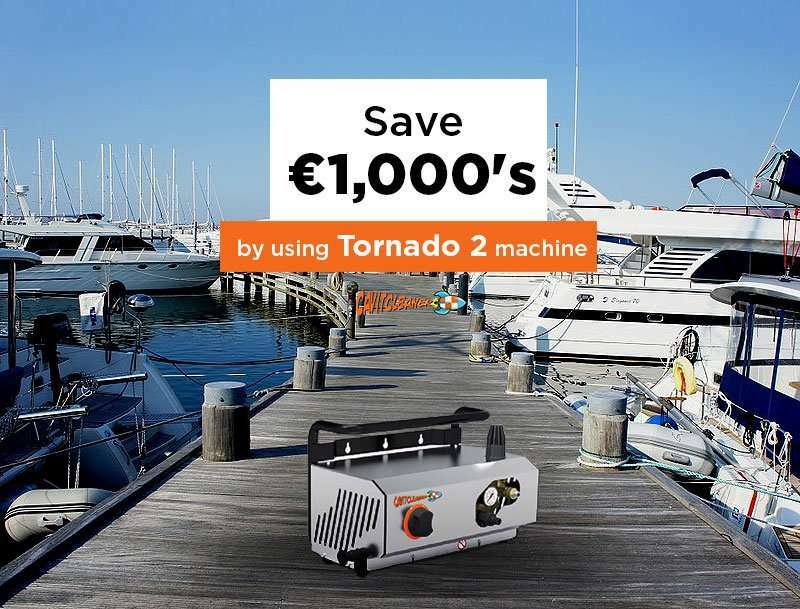 Tornado 2 machine: the Revolution for Underwater Hull Cleaning of your boat! 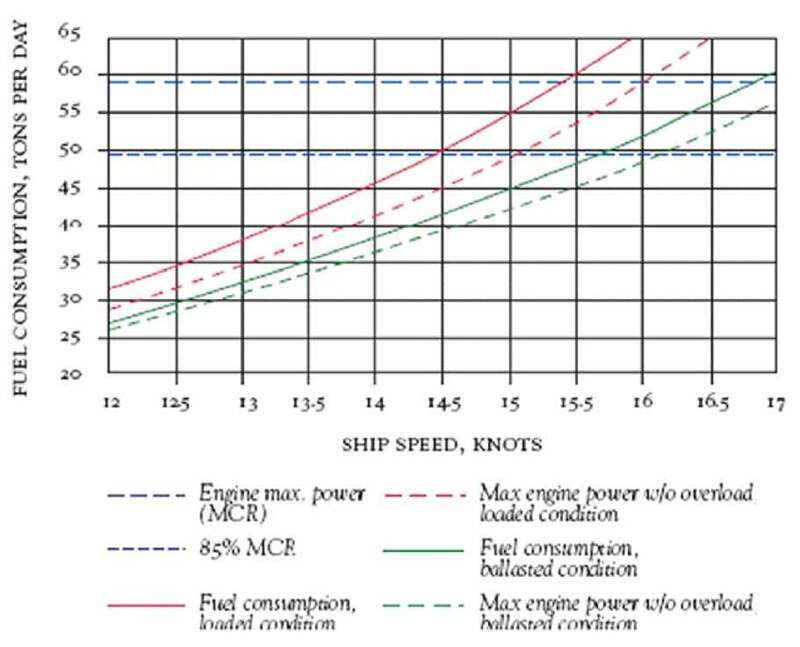 Save your anti-fouling, and save your money. Advanced Underwater Cleaning Technology is huge step forward towards ensuring that the nets are kept clean within a short time. The safety of the Diver is improved as cavitational jet is harmless when coming into contact with the body. 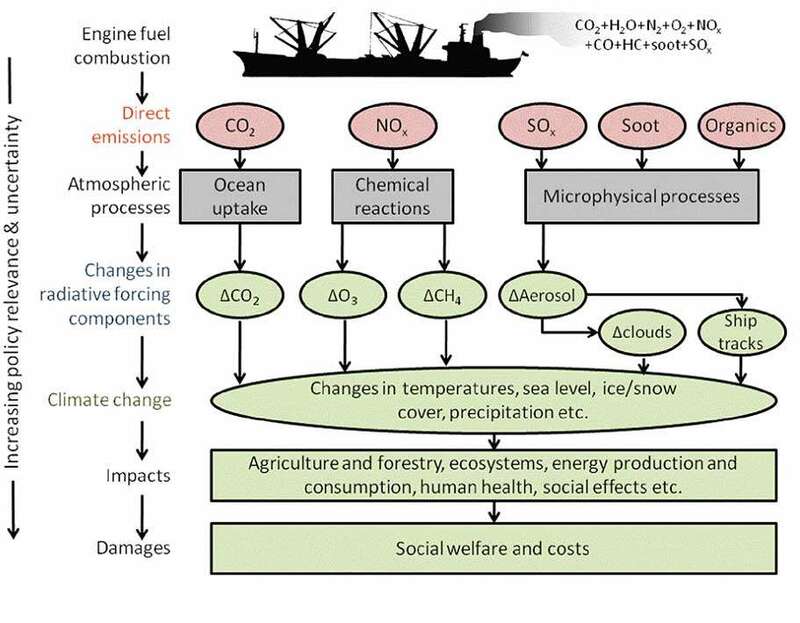 The environment within the net and surrounding waters is improved significantly. A clean net allows for a better flow of fresh water through the nets, resulting in a cleaner environment. 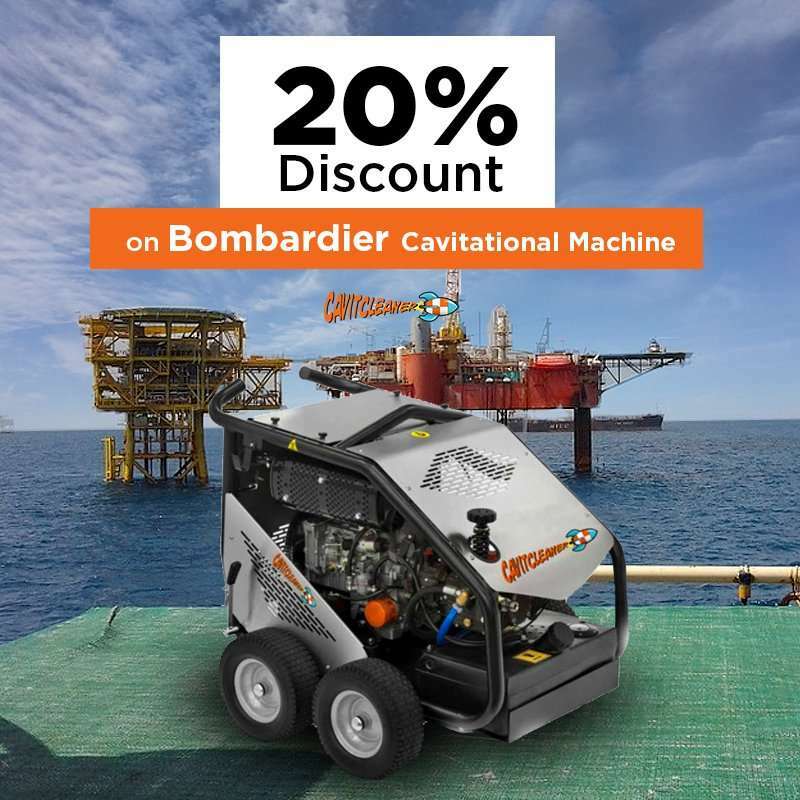 20% Discount on Bombardier Cavitational Machine!!! GET INTO THE CAVITCLEANER WORLD!!! 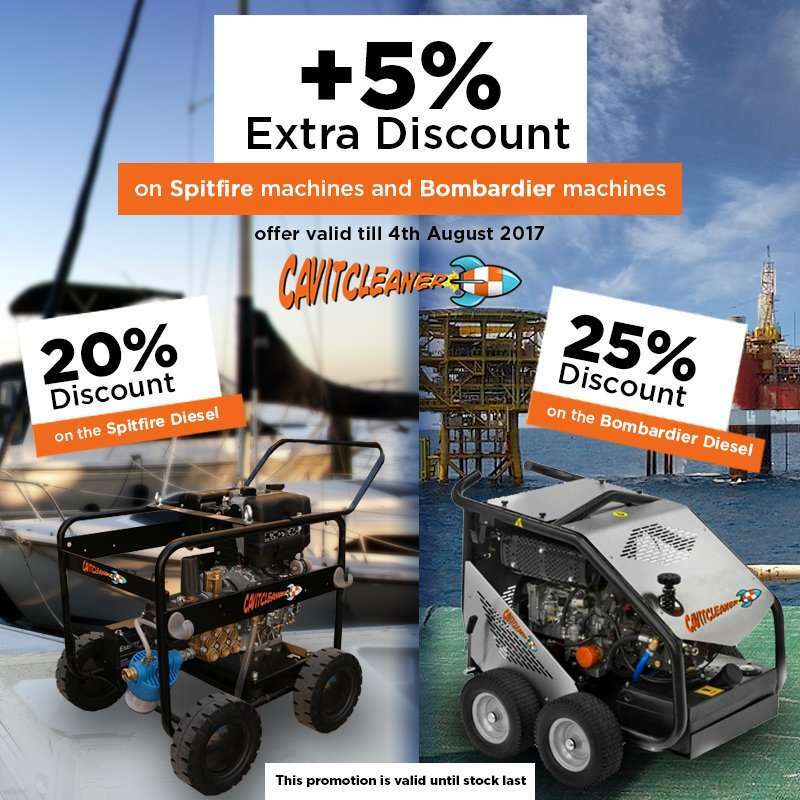 We are offering a 20% discount on the price of the Bombardier cavitational machine (complete, ready to work) this offer is available until stock lasts. 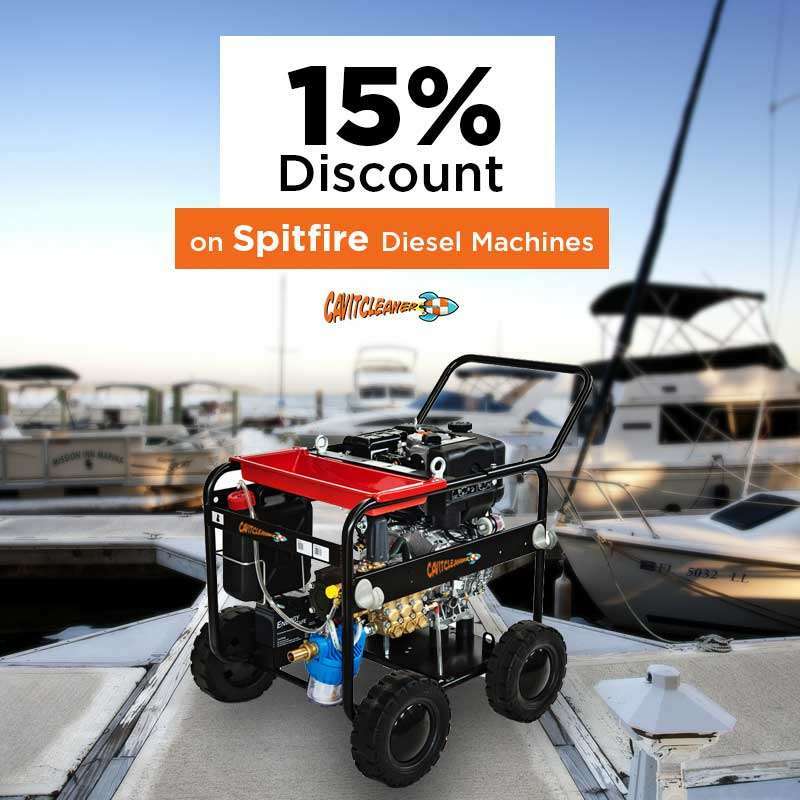 We are offering a 15% Promotional Discount for the Spitfire Diesel machines in prompt delivery, this offer is available until stock lasts. Cavitcleaner Team up with RPM Nautical Underwater Archaeological Team ( www.rpmnautical.org) to solve long standing issue when ROV’s Attempt to Clear debris from extremely sensitive archaeological sites. The current water jets that have been used for many years always ended up damaging the delicate artifacts, and this led to vital information being lost forever. 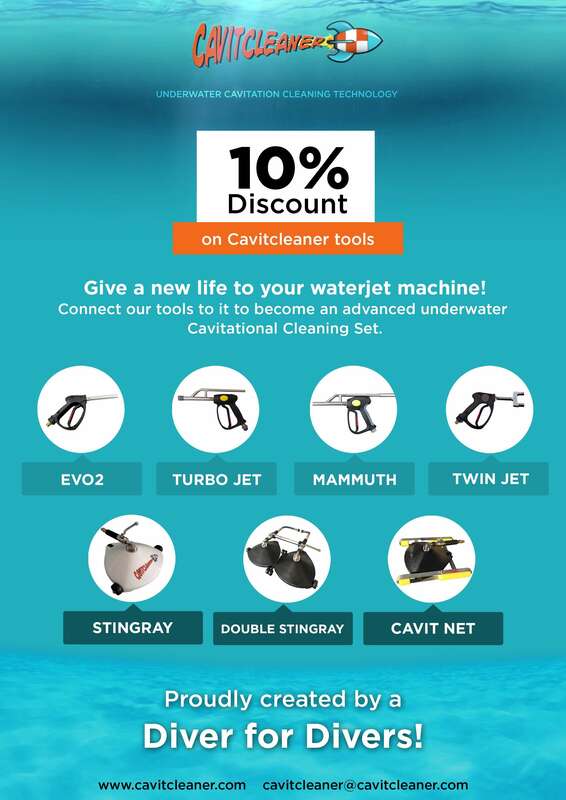 The unique properties of Cavitcleaner’s Patented Advanced Underwater Cleaning Technology is allowing for a much more delicate process to be applied, and that which is solving this problem to the delight of the underwater archaeological teams. Cavit cleaner is proud to be associated with the team and wish them every success in the coming season.